Short on time? 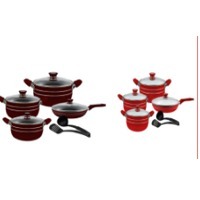 Let cookwares sellers contact you. 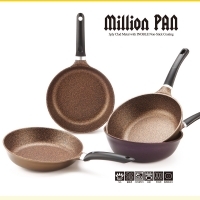 Million Pan is the toughest, long-lasting and most durable Non-stick Coating in the World. Passed 1 million times scratch test by the Japanese Minister of Economy Trade and Industry Authorized Corporation. Patented No. 10-1490321(Dot Coating Method) in Korea. 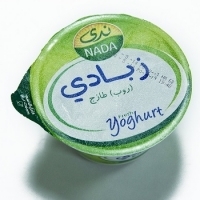 Thickness of Coating is over 60 micron which is almost 2 times thicker than other Non-stick Coating Product. 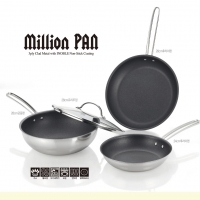 Million Pan outperforms all the other Non-stick Coating Pan in the World. If you need anything, please feel free to contact us. 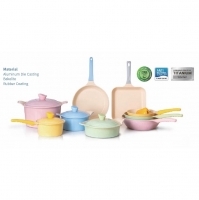 NON-STICK Antibacterial Frying Pans Enjoy your cooking with NON-STICK Antibacterial Frying Pans! Two color Option! (Black Pearl / Stone Touch) 1. 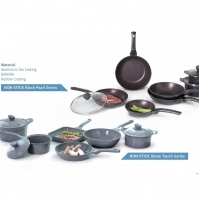 5 layers NON-STICK coating is strong against scratches, and wash well. 2. 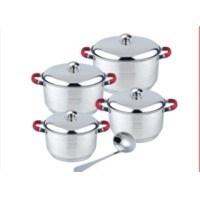 Due to the excellent NON-STICK effect with fluorine coating, the food does not stick to the pan. 3. 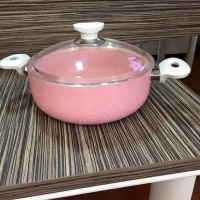 It is manufactured by aluminum casting method and can not be deformed by external force. 4. 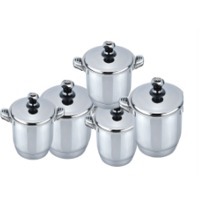 The excellent design that coated even the handle adds a splendor to the kitchen. 5. 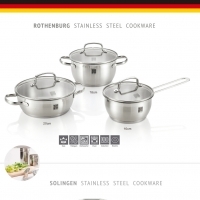 Because the handle is coated, the handle is not hot when cooking, By maximizing grip, you can cook safely and conveniently at cooking. 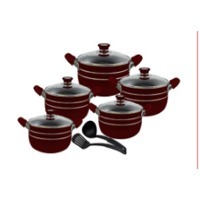 We are manufacturer & exporter of cast iron , copper aluminium & wooden cookware items.